Being a black man is never easy, and God understands this as he continues to walk with them through their struggles. That is why he always looked over his children with love for the obedient and punishment for the misguided. Today, we have many black men frustrated with the conditions of their people, especially the young men who continue to imbue society with their disrespect for law and criminal activity. 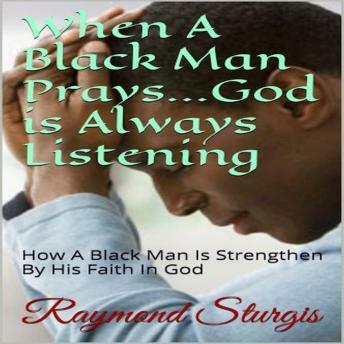 Although black churches today are doing their part, this book elucidates that all black men need to see God's love and pray before they let frustration and anger guide their paths. Black men must understand that God cares, and have solutions for their problems, only if they vigorously accept responsibility and atone for their wrongs in prayer.